Southwest corner from 6th Avenue. 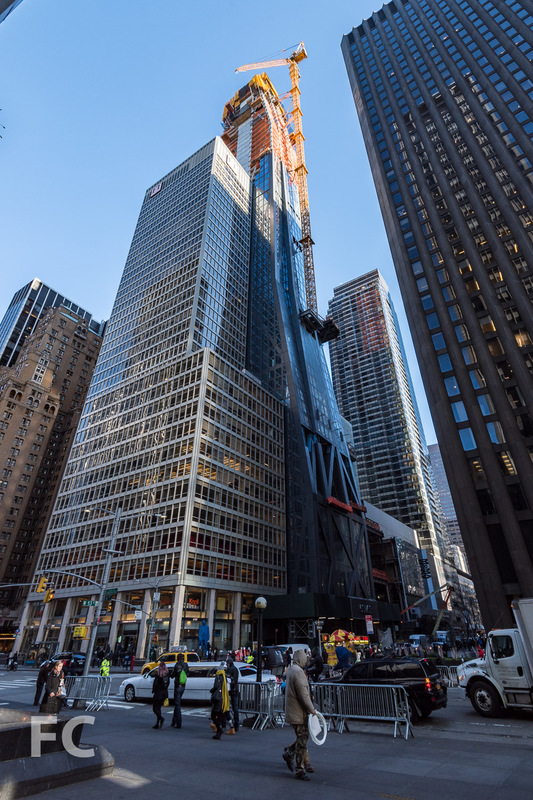 Concrete superstructure and curtain wall installation continues on the iconic diagrid of Jean Nouvel's 53W53 tower in Midtown. Planning for the tower, from developers Hines and Pontiac Land Group with financing from Goldman Sachs, began in 2006 and was unveiled to the public in November of 2007. Since then, there has been a height reduction from 1250' down to 1050' and Diller Scofidio + Renfro have been tapped to design the tower's included expansion of MoMA. West facade from West 53rd Street. The tower's signature identity comes from its diagrid structure, the diagonally criss-crossing of normally vertical concrete columns at the tower's perimeter. 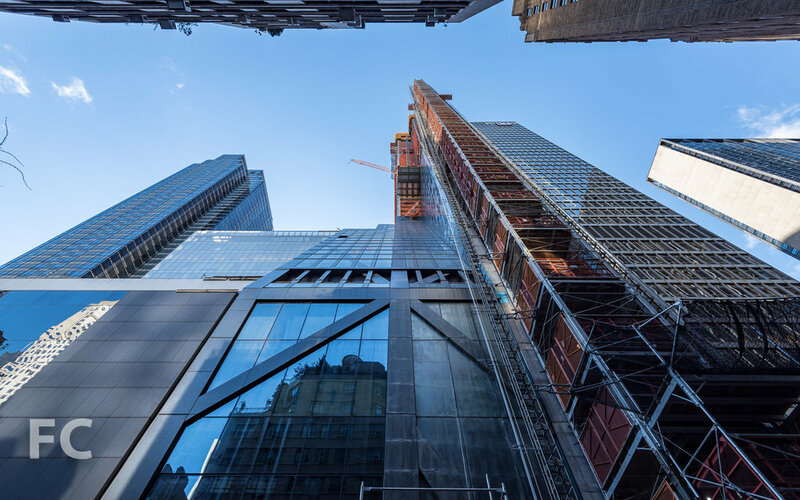 Solid metal panels break up the glass of the curtain wall, expressing the diagrid on the tower's façade. 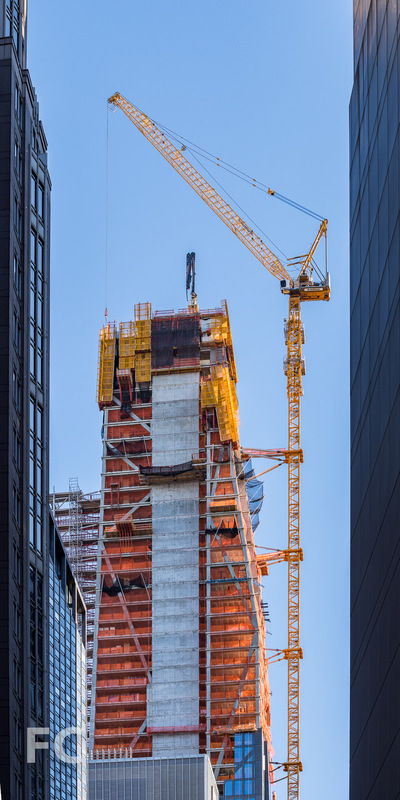 When completed, the 82-story tower will include 145 residential condo units ranging from one- to five-bedrooms, the largest of which will be a 7,892-square-foot duplex penthouse. The tower's unique shape impacts the design of each unit, ensuring that each has a unique floor plan. Interiors for the apartments and amenites are designed by Thierry Despont. Southeast corner from West 53rd Street. 53 W 53 (center) on the Midtown skyline. 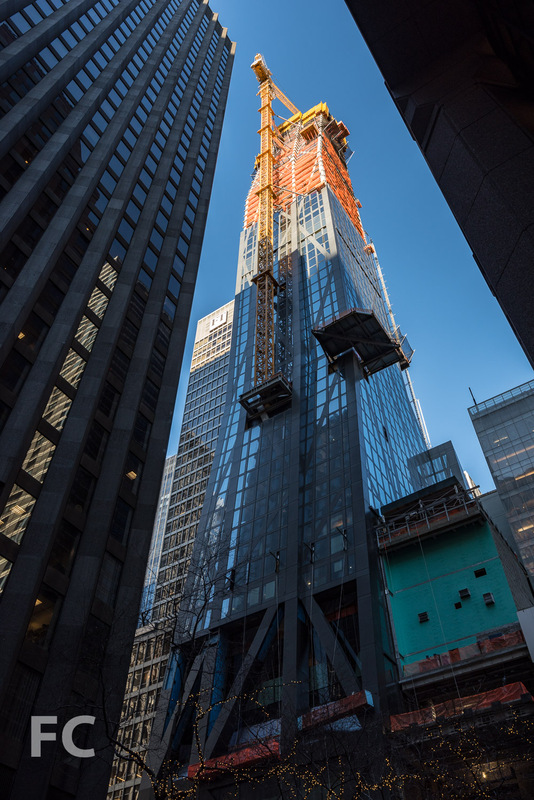 Looking up at the north façade from West 54th Street. 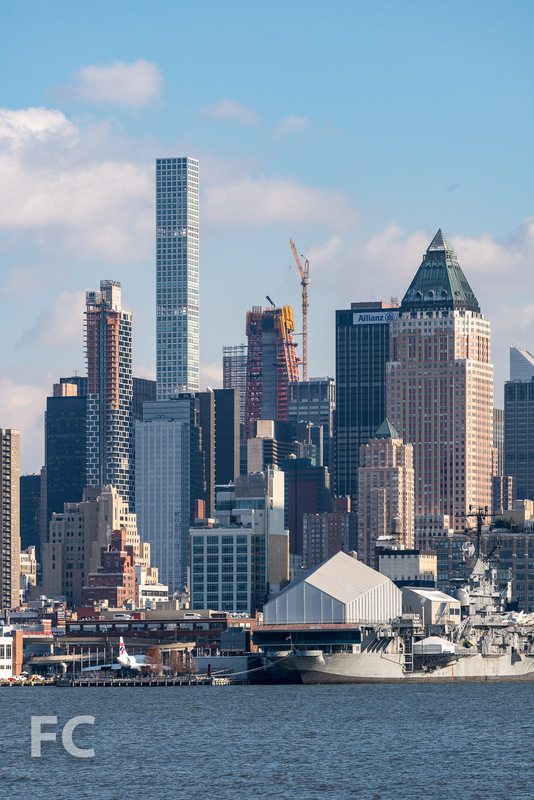 53W53 (center), 432 Park Avenue (left), and 242W53 (far left) from the Hudson River waterfront. Architects: Ateliers Jean Nouvel (Design Architect), SLCE (Executive Architect); Interiors: Office of Thierry Despont; Developers: Hines, Pontiac Land Group, and Goldman Sachs; Program: Residential, Retail, Musuem; Location: Midtown, New York, NY; Completion: Late 2018.